Hit Both the Fairways and the Ocean for Golf and Fishing! What’s a better way to unwind and cool off that adrenaline generated from a full day of offshore fishing? Golfing, of course! There is no better place to go both fishing and golfing than the Los Suenos Resort and Marina, which offers the finest sport fishing and golf in Costa Rica. 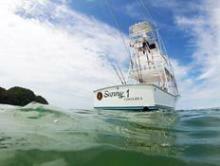 Their state of the art 200-slip marina hosts annual marlin and billfish tournaments and is home to some of the best sportfishing boats in Central America. Their 18-hole, par 72 golf course, La Iguana, is as challenging as it is beautiful. 2 full-day offshore fishing tour. Fish from sunrise to sunset! In addition to trying Costa Rica’s famous zip lining through the rainforest, you will have lots of free time to enjoy the beach club, spa, and pools. This is a true vacation: fishing, golf, adventure and lots of down time! Ready for some fishing and golf Costa Rica? Arrive into San José, where our “Meet and Greet” service will take you to your private transfer. After a quick one-hour drive you’ll arrive at the beautiful Los Sueños Resort and Marina. Located in Playa Herradura, the property features a spa, six restaurants and a new beach club. 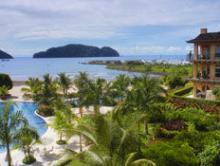 You can also enjoy its 18-hole golf course, 600-acre nature reserve, and the best marina in Costa Rica. This day is yours to do what you like! Relax and explore the Los Sueños Resort with drinks in the pool at the new beach club, walk down to the marina, or hit the spa! You don’t have to sail far for an adventure. Enjoy a full day of deep sea fishing for marlin, sailfish, dorado, and yellowfin tuna 20 to 30 miles from the marina. Play 18 holes on the beautiful La Iguana Golf Course*! Designed by Ted Robinson, Par 72 is a 6,698-yard course that showcases primary and secondary rainforest, amazing wildlife, and the ocean. Their pro shop has rentals, swing analysis, and golf pros at your disposal. Full day of deep sea fishing! Have you already caught your fill of sailfish and marlin? Then try to catch some dorado or yellowfin tuna for dinner! 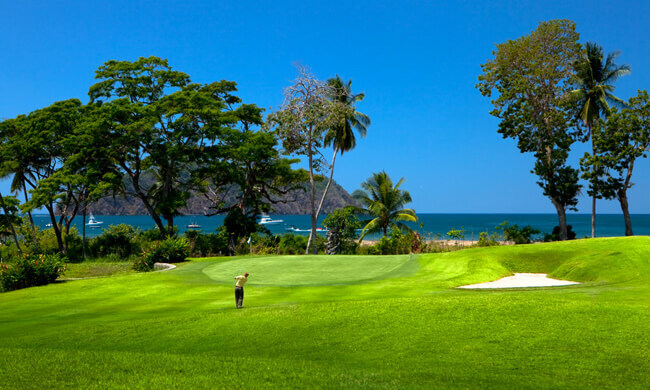 Enjoy another round of golf at Los Sueños*! Between the howler monkeys and scarlet macaws, we can’t guarantee total silence during your backswing. But, we’re sure you’ll enjoy it nonetheless. 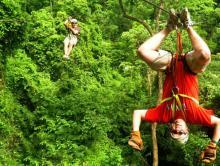 Relax on your last day in Costa Rica, or see what else Costa Rica has to offer and try the exciting canopy zip-line tour. The Vista Los Sueños Canopy Tour offers 15 platforms and 14 cables, including their longest at 2,400 feet! *Rounds of golf at additional cost. 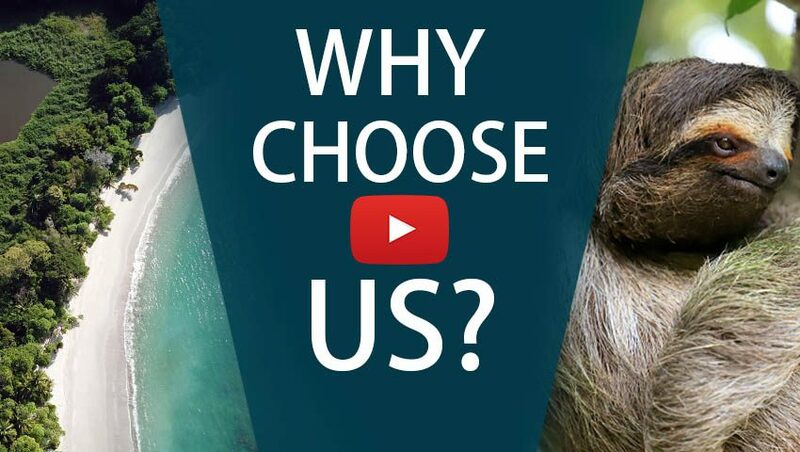 15 Platforms Set in Tropical Rainforest, 14 Cables & Two Miles of Fun, Zip-line Rides!